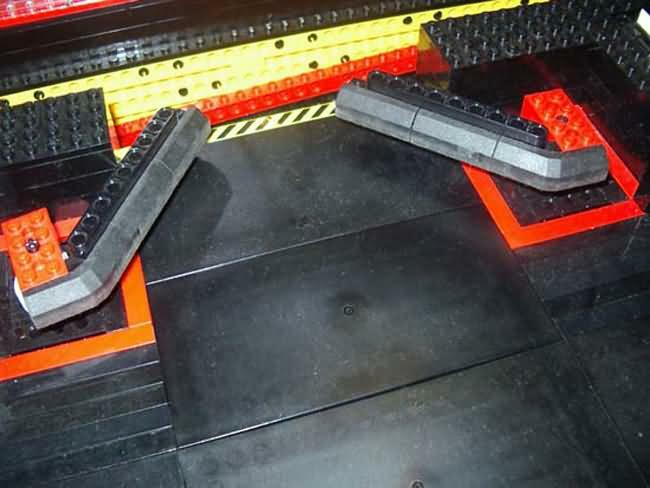 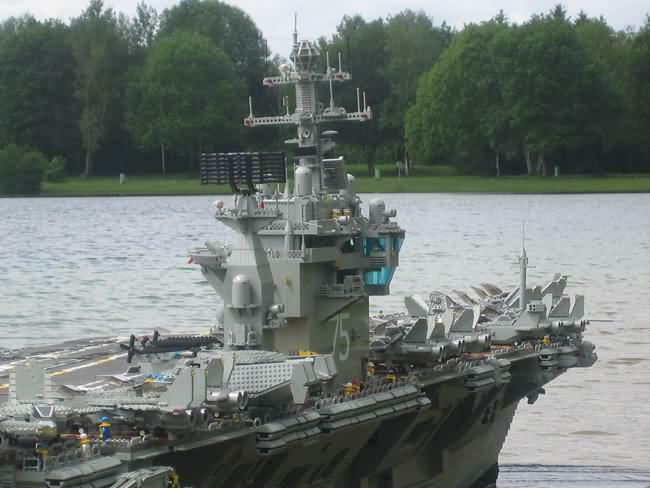 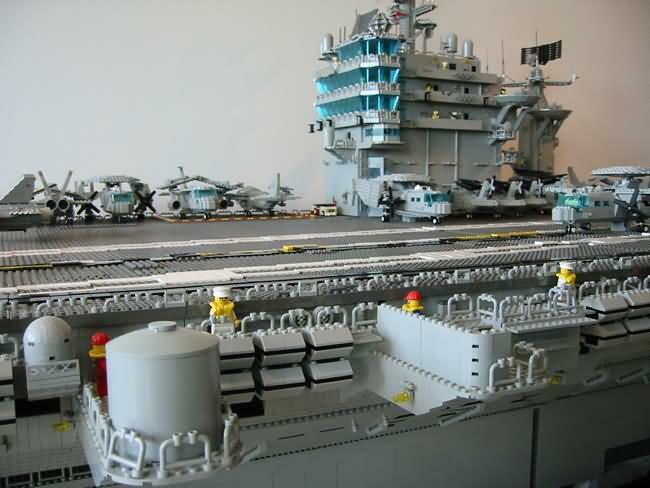 The aircraft carrier USS Harry S. Truman which is made from 200,000 lego Bricks, 16.4 Feet long, movable elevators and radar dishes, electric lights on the flight deck, in the hangar, and inside the aircraft and motorized catapult. 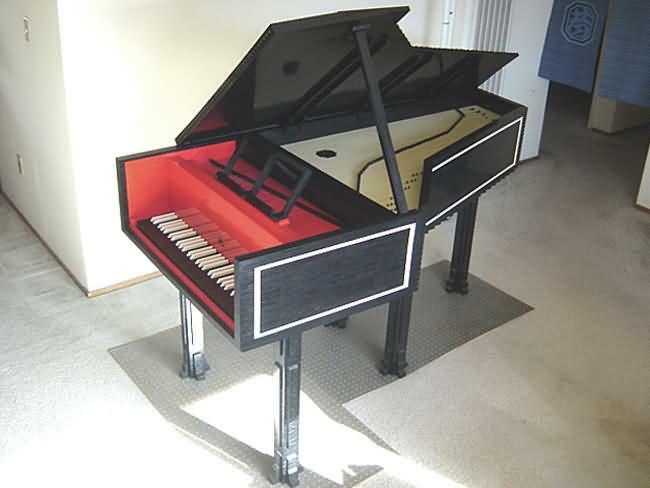 This creation of a working harpsichord is simply amazing. 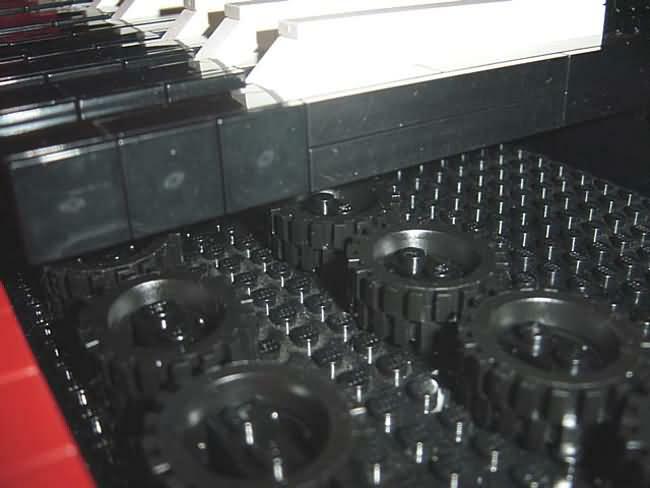 It took approximately 100,000 Lego pieces to complete the instrument, and it stands 6-feet tall with the lid opened. 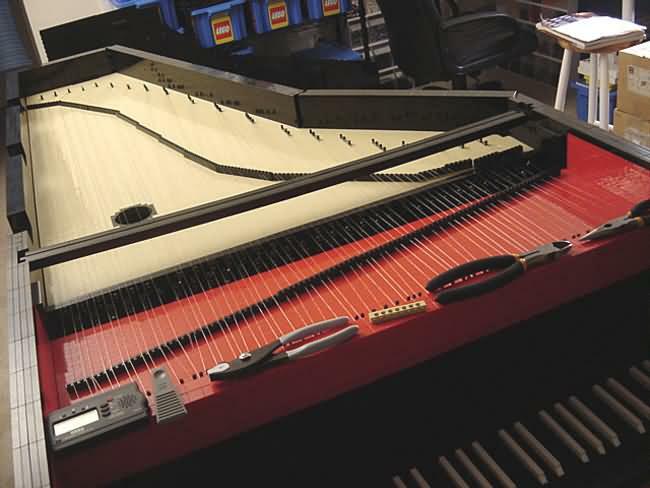 The harpsichord is made entirely of Legos, except for the strings. 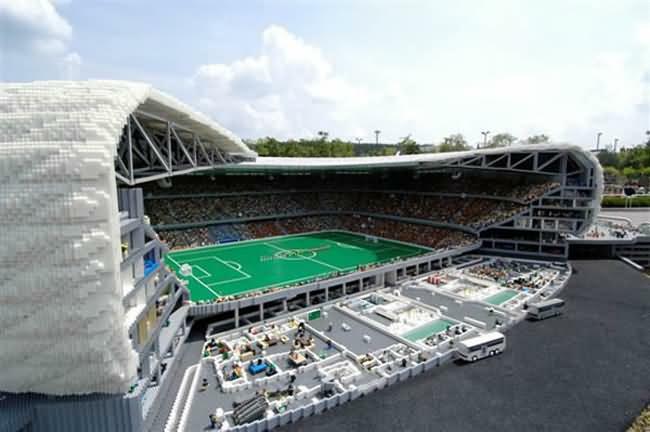 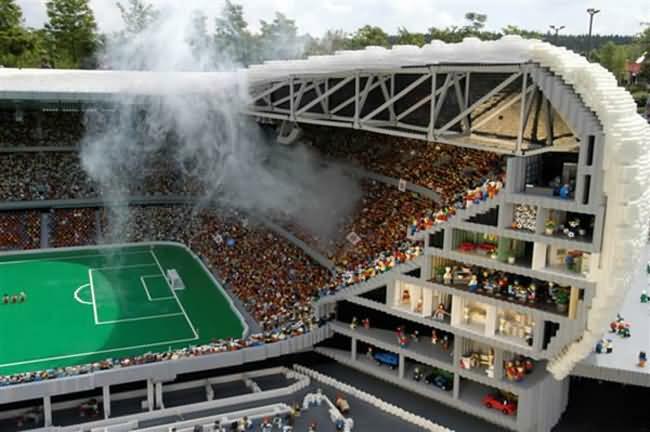 The Allianz Arena Lego model was built following the original plans from Swiss architects Herzog and de Meuron, using 4,209 hours of work and over a million pieces. 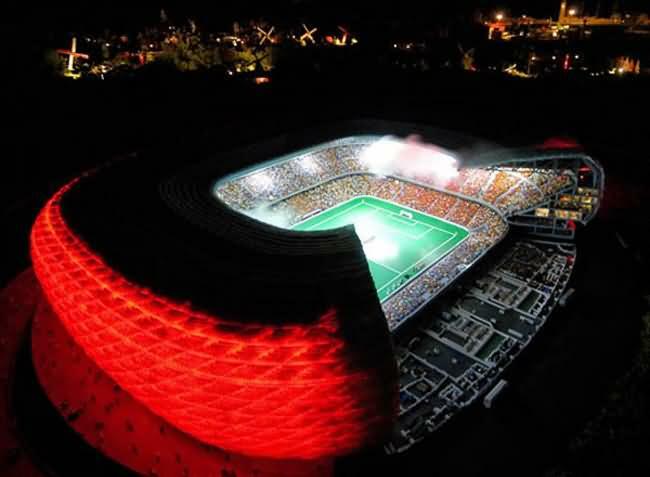 It can glow red, blue, and white using interior LEDs, achieving the same lighting effects of the original stadium thanks to a special translucent brick specially manufactured for the project. 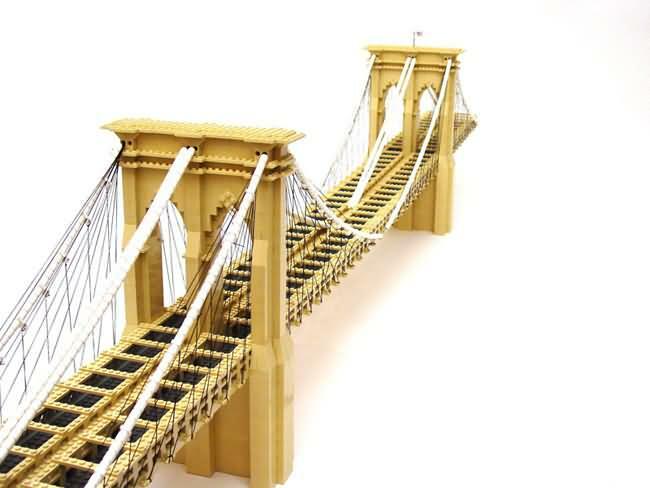 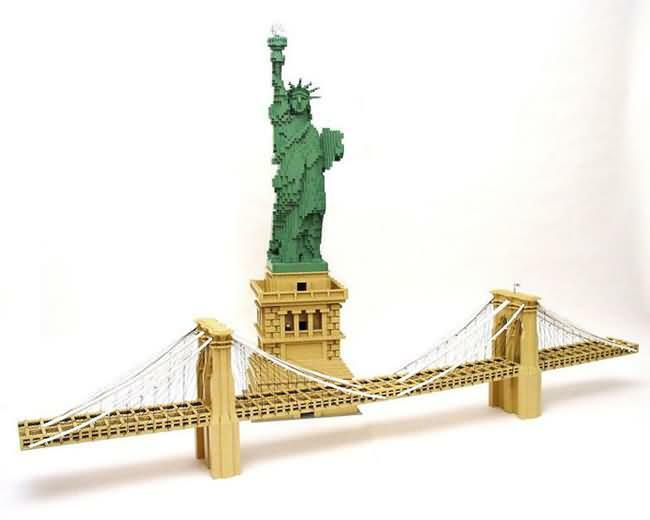 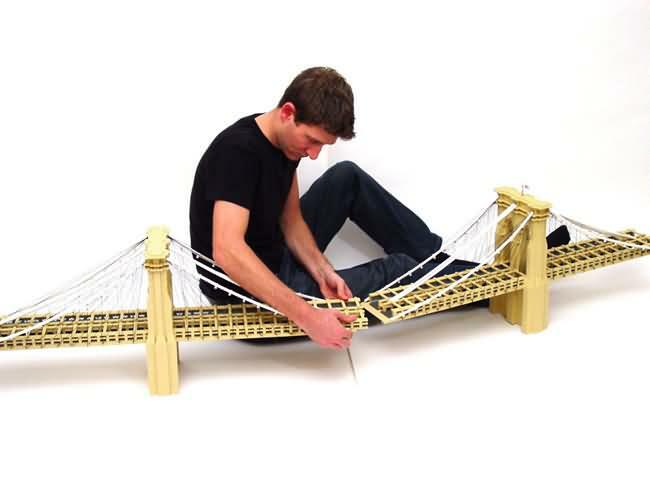 Here's a Lego version of one of the most famous bridges in the world � the Brooklyn Bridge in New York City. 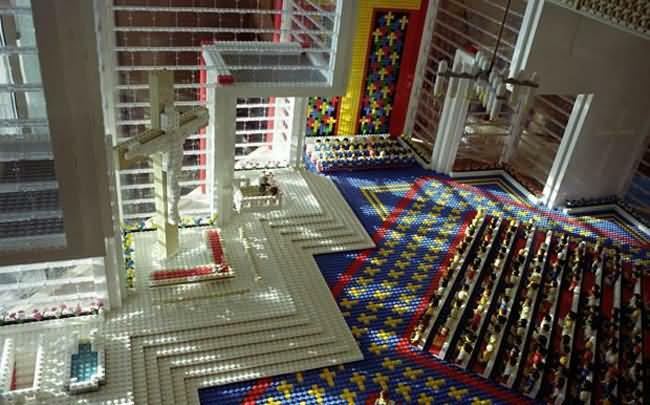 This piece of Lego architecture spans an impressive 7 feet. 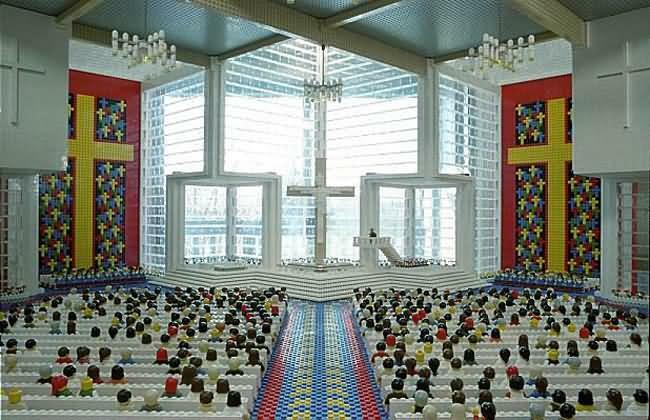 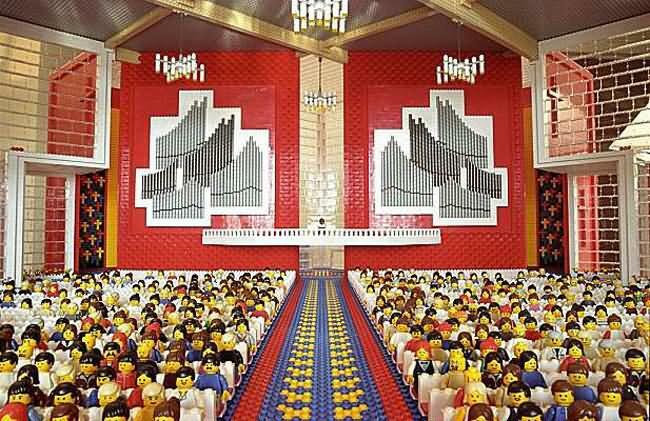 Lego people need to go to Church too! 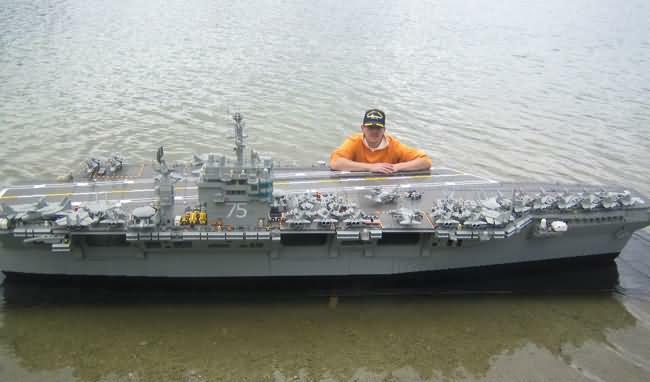 This was so realistic that the first time I saw it I thought it was real! 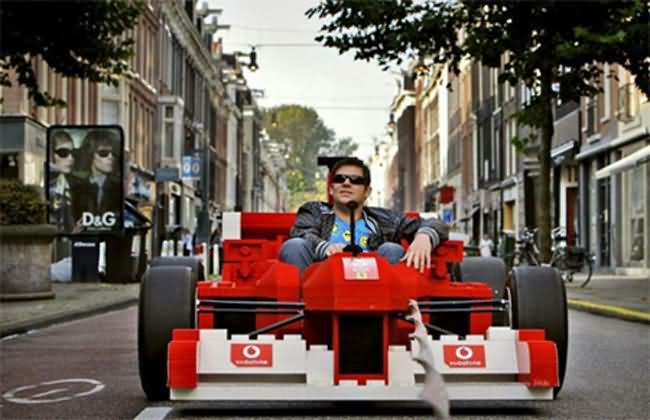 It took 80,000 LEGO bricks to build this drivable Ferrari Formula 1 car. 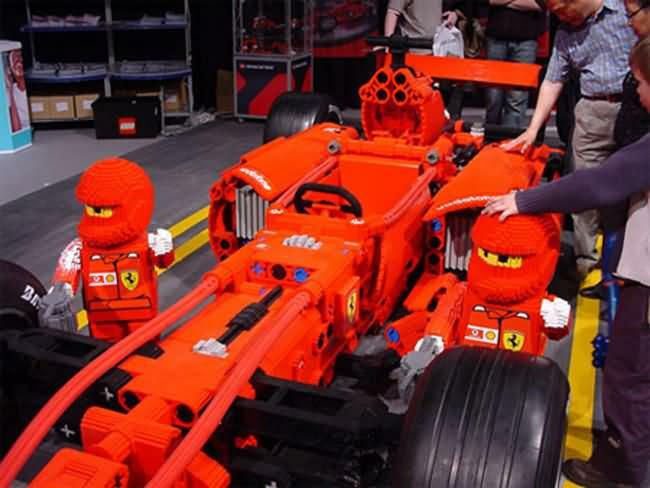 The red racer was assembled for the 2008 annual LEGO World event in the Netherlands. 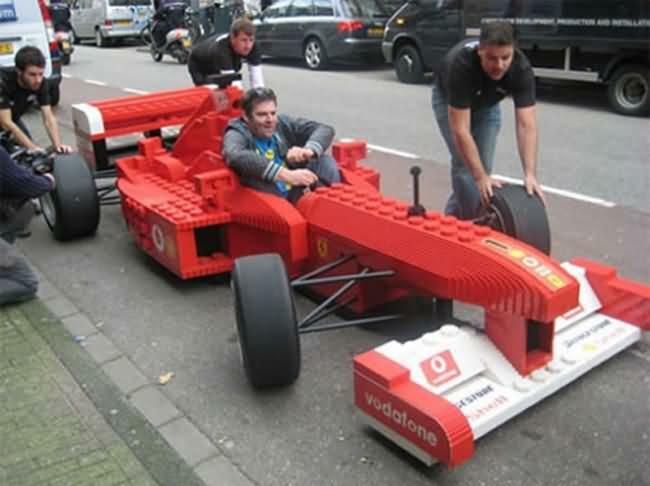 It again proves that the building blocks are not only for children. 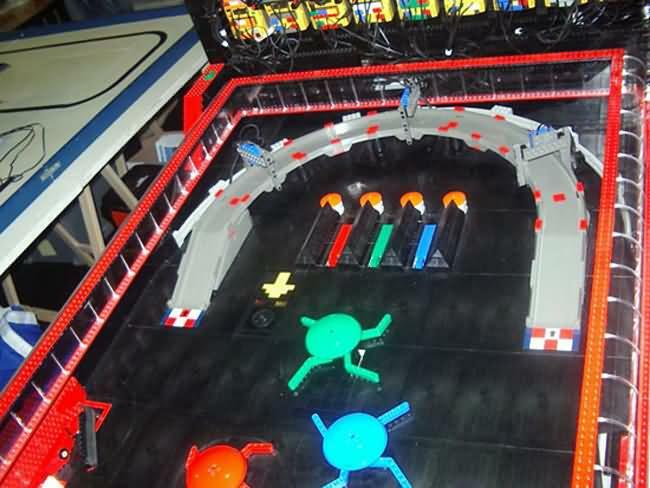 This pinball machine is fully-functional and is coin-operated. 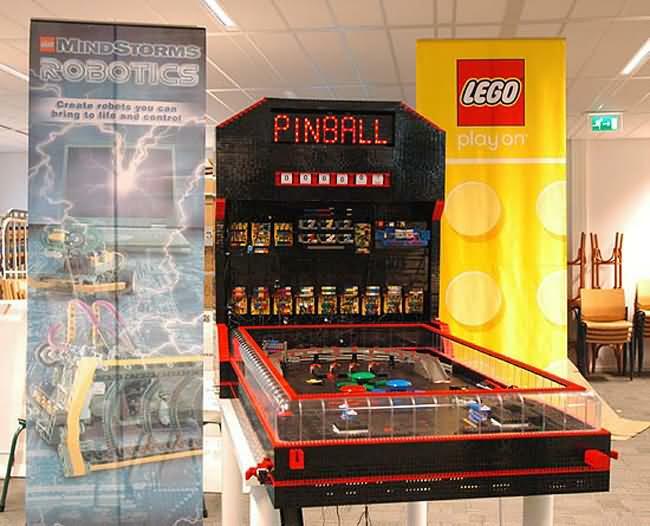 It uses a glass ball instead of a steel one, because the steel pinballs are too heavy for the Legos to withstand the constant pounding of the ball that makes the game of pinball so much fun. 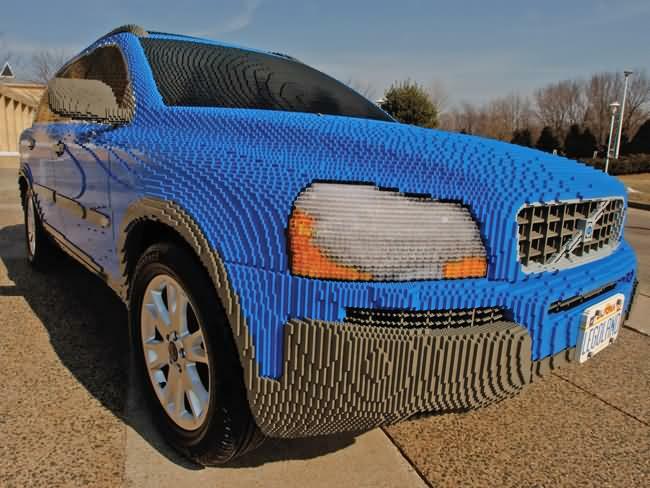 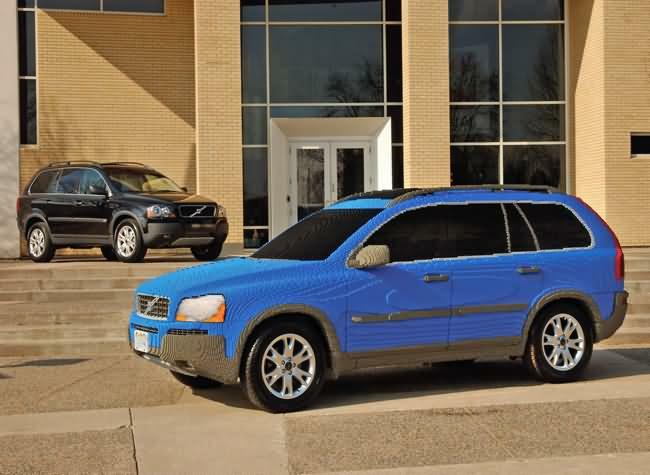 This Volvo XC90 is the official car of LEGOland California and has been built by Lego Master Model Builders. 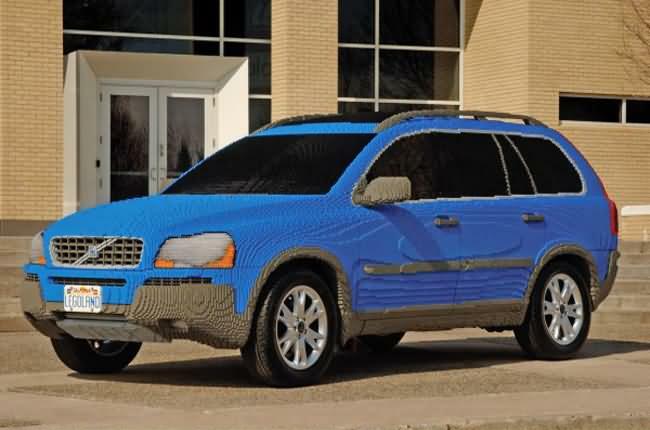 The Lego car works with the theme park to bring messages of driving safety to the park's 1.3 million annual visitors. 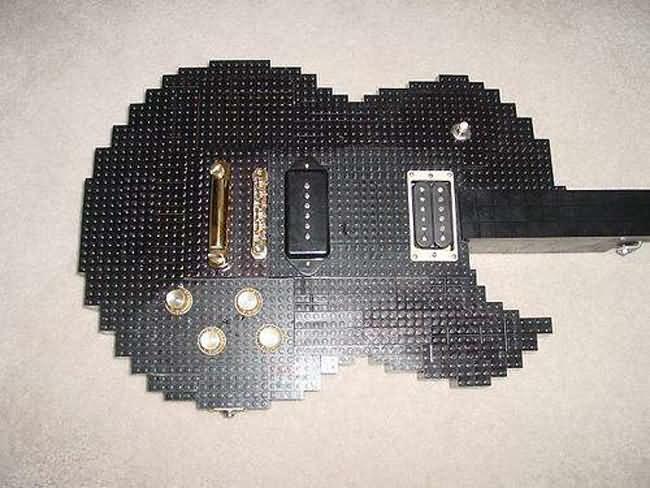 This Lego version of a black Les Paul electric guitar would make the guitar god's proud. 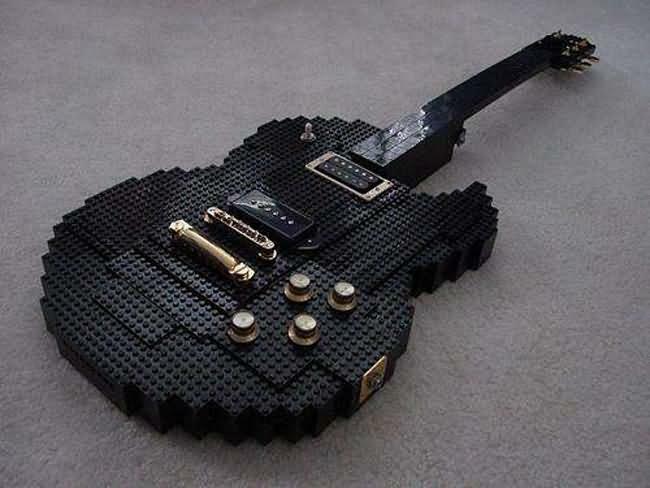 This thing will even play a tune! 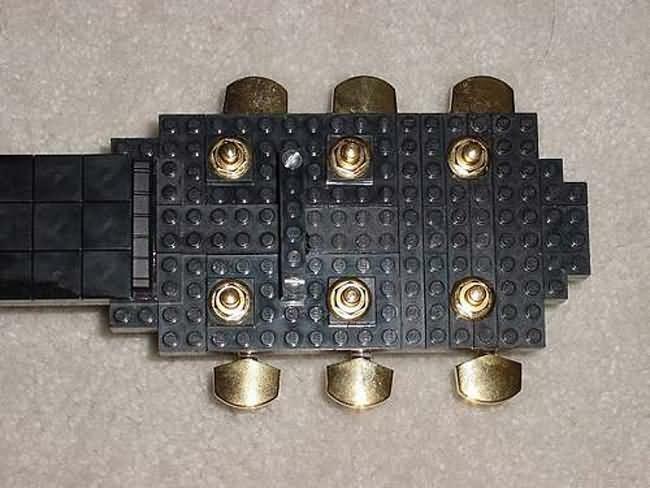 How legible that tune may be though is the topic of debate.